The big deal — and we mean that literally and figuratively — at the Arizona classic car auctions next week is the General Motors Futurliner that is being sold at Barrett-Jackson. 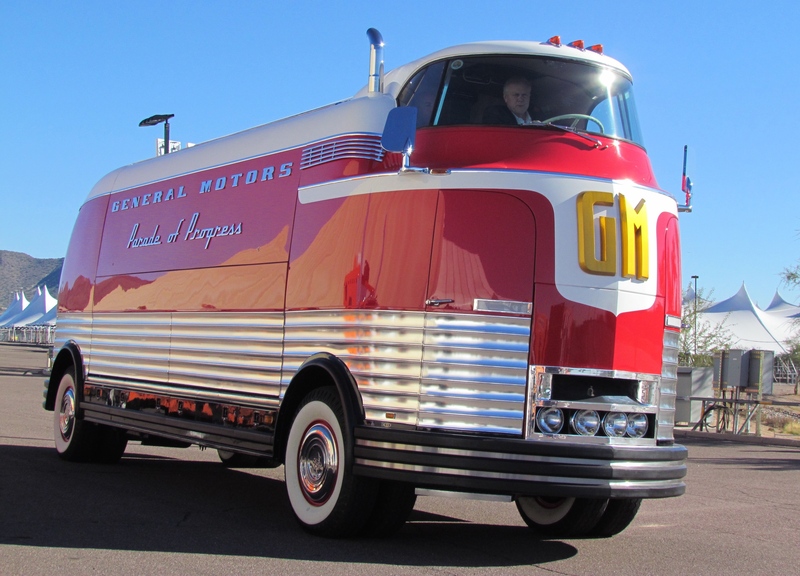 The big deal — and we mean that literally and figuratively — at the Arizona classic car auctions next week is the General Motors Futurliner that is being sold at Barrett-Jackson. The bright-red, bus-like vehicle has come to epitomize the Ron Pratte collection that is being disbursed at Barrett-Jackson. Not only is the Futurliner representative of Pratte’s collection because of its stunning size and an appearance that commands your attention, but because, like so many of the cars Pratte purchased, this one is being sold to benefit a charity. 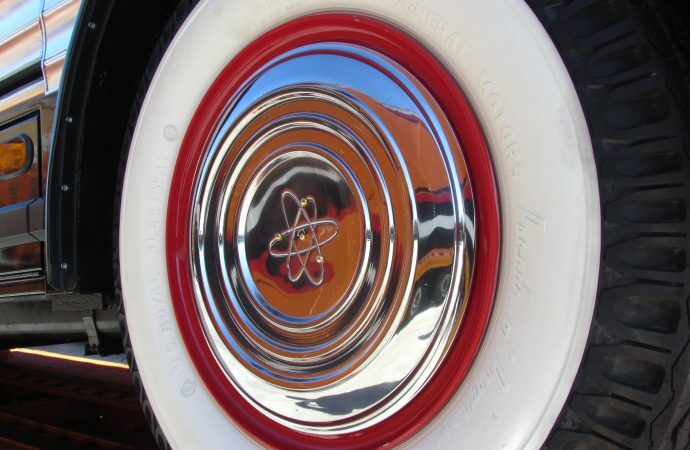 The Futurliner is, indeed, a very big deal, and classic car auction insiders will be buzzing over its eventual hammer price. Pratte, then a newcomer to the scene, became something of an instant classic car celebrity when he paid $4.3 million to buy the bus nine years ago at Barrett-Jackson. 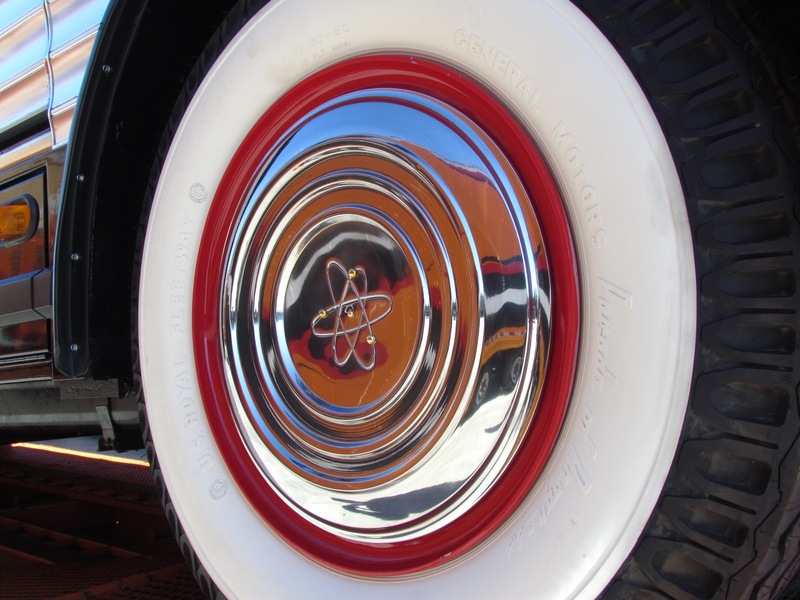 Since then, another of the Futurliners has been restored and featured at car shows and on television, and yet another is about to be included in the National Historic Vehicle Register. While it may not mean much to people from outside the Phoenix area, Lot 150 at Gooding & Company has important history; it’s the 1968 Chevrolet Sportvan 108 formerly used at Beeline Dragway, the drag strip that served not only the Phoenix area for many years but was the site of some major early NHRA and AHRA events. Also at Gooding, Lot 110 is a 1955 DKW Auto Union Schnellaster Tieflader 3=6, a low-loader, pickup-truck version of the company’s Rapid Transporter van. Also at Gooding, and also at RM, a Lamborghini LM002, or “LaMooToo” as they were known, the Italian twist on the Hummer theme, and with a Lambo V12 for power. The one at Gooding (Lot 131) is a 1988 model, the one at RM (Lot 234) is an ’89. 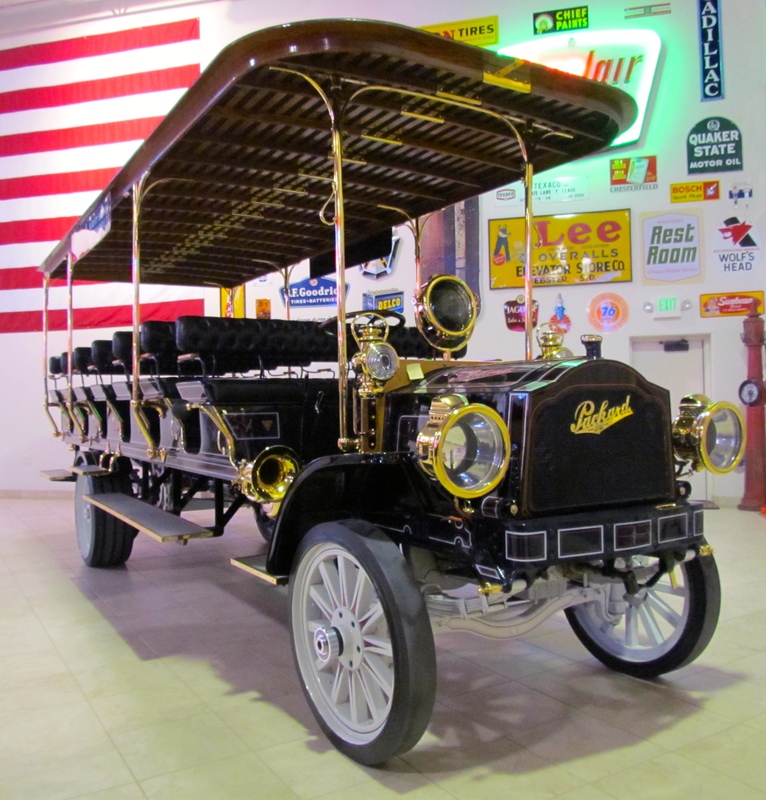 Not quite as large as the Futurliner but impressive in its own right is Barrett-Jackson Lot 2505, the 1912 Packard sightseeing bus, formerly part of Otis Chandler’s collection and now coming from the Pratte collection. Before that, it was part of the collection used by the U.S. Army to carry soldiers, and then by the National Park Service to shuttle tourists at Yosemite. At Bonhams, a pair of big trucks, both from the William M. Keck estate — a 1948 Peterbilt (Lot 100A) and a stunning 1949 International KB-8 with matching horse trailer (Lot 100B). Back to Barrett-Jackson and the Pratte group — a 1964 Cushman Truckster, a 1945 Cushman package cart, an ex-Ringling Bros. and Barnum & Bailey 1915 Ford Model T circus wagon, and even the George Barris-built truck from the Beverly Hillbillies television show. Also at Barrett-Jackson, and part of the prestigious Showcase/5000 Series offerings, the 1934 “Jimmy Shine” Ford Custom pickup. At Russo and Steele, the 2010 Toyota Tacoma Polar Explorer (Lot 2255) that set a Guinness record for the fastest overland journey to the South Pole — 700 miles in 1 day, 15 hours, 54 minutes. Russo and Steele also has four Toyota FJ40s on its docket. FJ40s have become the Toyota of choice with classic car collectors, and they are available at seemingly every auction, from Gooding and RM to Russo and Silver. Oh, and there are 16 of them on the Barrett-Jackson docket. RM has a 1930 Rolls-Royce Phantom II shooting brake (Lot 104) and a stunning 1941 Chrysler Royal Town and Country “Barrelback” (Lot 232). Gooding expects its 1946 Ford Marmon-Herrington Super Deluxe 4×4 wagon (Lot 59) to fetch as much as half-a-million dollars while a 1951 Willys Model 6-73 (Lot 105) has a pre-auction estimated value of less than 1/10th of that figure. Bonhams offers a 1940 Ford Deluxe (Lot 149). Russo and Steele has a 1947 Chrysler Town & Country (Lot 2077). Barrett-Jackson’s docket includes more than a dozen woodies, including a 1935 Ford Custom “Tin Woody” that is part of the 5000 Series (Lot 5026).